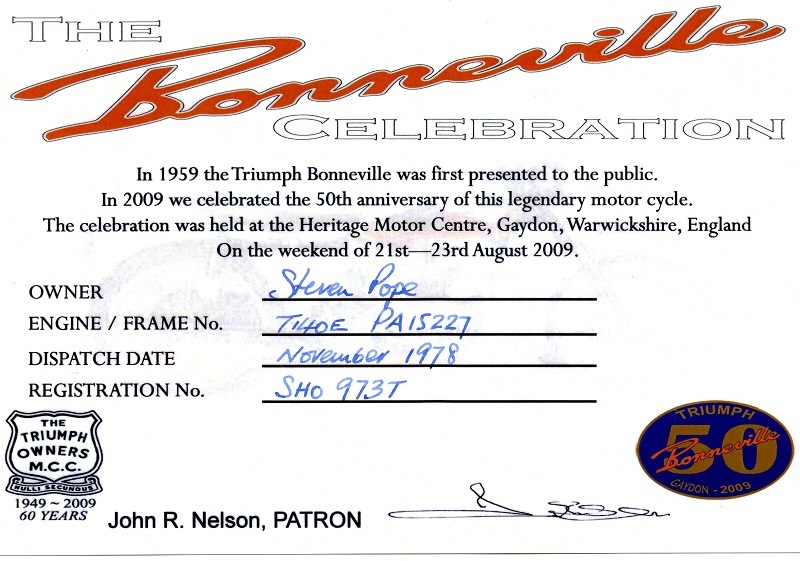 Well from the annual qualifying day today my (owned from new) '79 Bonneville T140E officially qualifies as 40yrs old from production and hence from 1st April will no longer require the expense of annual road tax or MOT tests. Not that the MOT test has ever been an issue, I always get the comment from the tester 'I know you look after it' and a token press of the horn and tyre tread check. I may still go for MOT's though as I'm sure it would likely stand as a positive with the insurance company. Certificate issued at the 50th celebration weekend by the TOMMC based on official factory records. Doesn't look like that at this moment. Currently stripped down ready for a rebuild (frame powder coating pretty poor after 20+yrs) and conversion from (20+yrs) wet running belt drive primary to a dry running belt drive with Norton diaphragm clutch conversion. A lot of stainless steel on there and discreet modifications. A few pics from over the years in one of my forum albums. I ran a belt primary on my T140 - It's a great mod. I ran mine in oil though, to lube the clutch rollers. 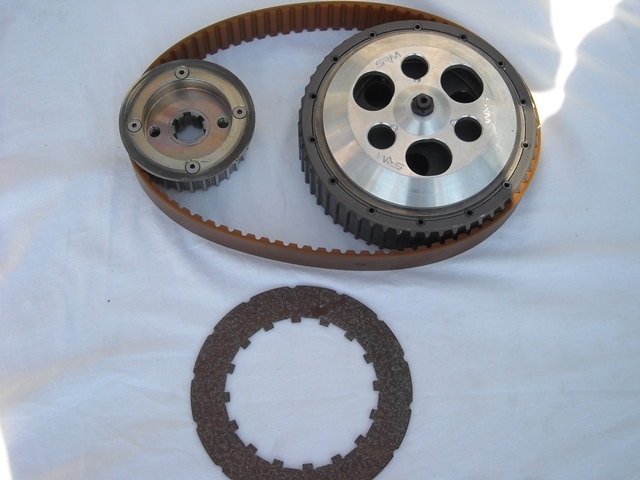 Does the Norton clutch do away with the packed rollers for the clutch? If not, how does it get lubed. The manufacturers told me the belt should last 30 years dry, or 25 if run in oil. I couldn't be doing with an annual strip to grease rollers, so went for the oil. Still going strong when I sold it after 5 years, and so much quieter than the worn out triplex chain rattling about. The retiring belt drive is a Tony Hayward setup that runs in oil. He hasn't produced this kit for many years but I believe it was better than his current ones with 64 teeth that will wear. 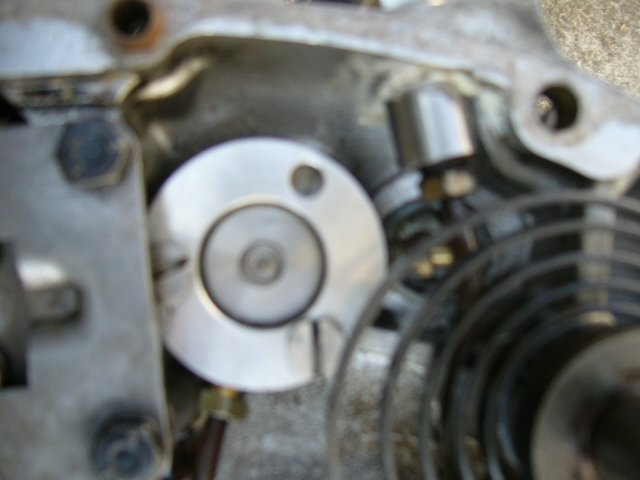 Mine has (from memory) 14 replaceable hardened pins that take the drive, so the clutch pulley never takes direct wear. The belt issue is controversial, I was never given a time frame originally but the belt manufacturers will not give any warranty other than the belts should be run dry, they class oil as contamination. 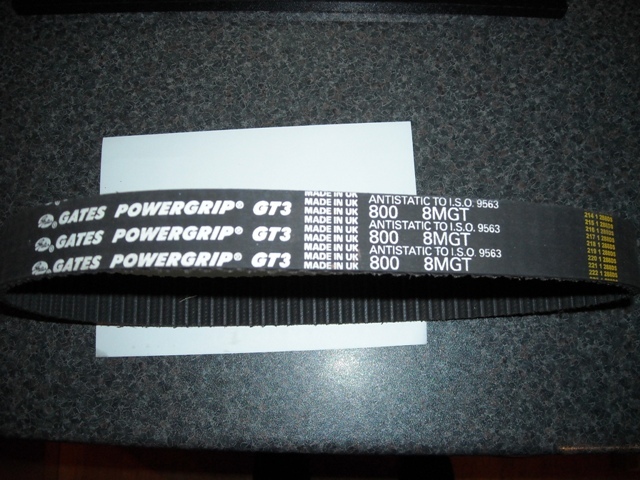 However I've only had 2 belts total, the first being changed after 11yrs purely as I had the primary apart. But when I tried to purchase a new set of drive pins a few years ago Tony Hayward he had already discontinued that setup so had no spare pins and said the belt life was 7yrs in oil on his latest replacement belt for my setup, which was double the price of the previous belt … hence I started looking at other options. The new setup runs dry (Gates belt), I will blank off the 3 primary/crankcase oil level holes, fit a crankshaft seal and the clutch pulley runs on a sealed bearing. 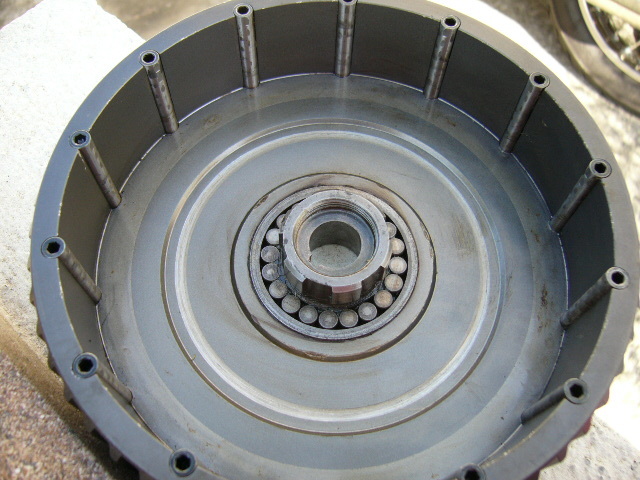 The major advantage of the pulley is that the bearing is central in the pulley giving stability unlike the standard clutch basket/pulley that hangs on the inboard loose rollers and is therefore very wobbly when the clutch is operated, contributing to clutch plate drag. 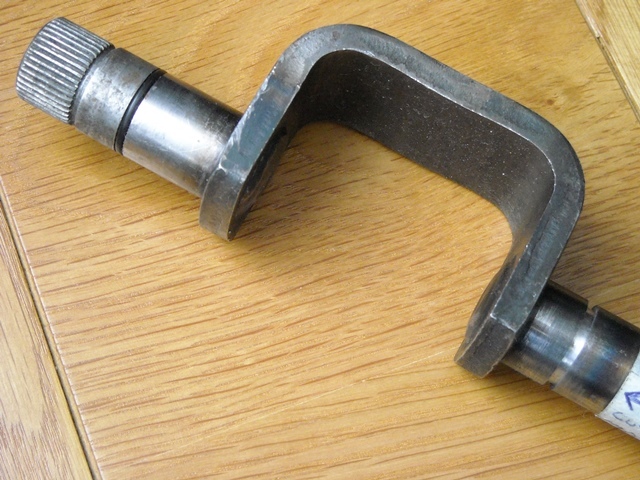 I have had a 2nd groove machined in the gearshaft linkage (same as gear lever end) ready to seal the inner portion on the crankcase bush to eliminate any possible gearbox oil working its way into the primary. The other issue to address will be a revised crankcase breather system as it will not be able to breathe through the primary case. 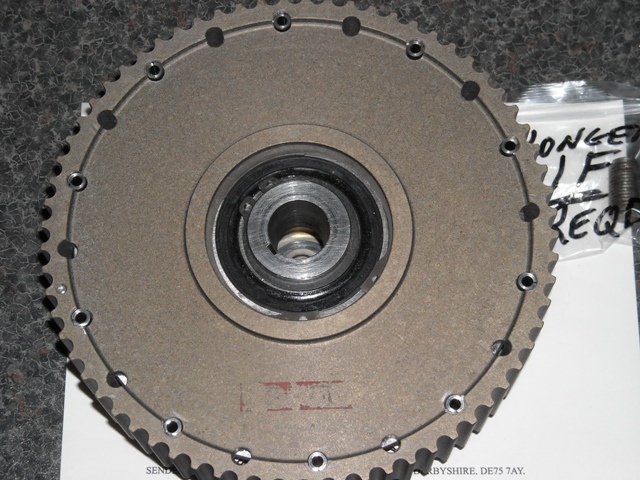 The clutch operation itself is a diaphragm setup (like a car) but multiplate (Surflex) still. This means the lever effort is the opposite of a spring loaded setup, getting lighter as it is pulled. On top of which my Bonnie already has a light to operate hydraulic operation (and I find the Tiger clutch heavy in town traffic), so the new setup should prove featherlight. I'll dig out a few pics later of both when I get a chance. ... my Bonnie already has a light to operate hydraulic operation (and I find the Tiger clutch heavy in town traffic), so the new setup should prove featherlight. … connected by Goodridge S/S braided hose to a PSP clutch conversion. 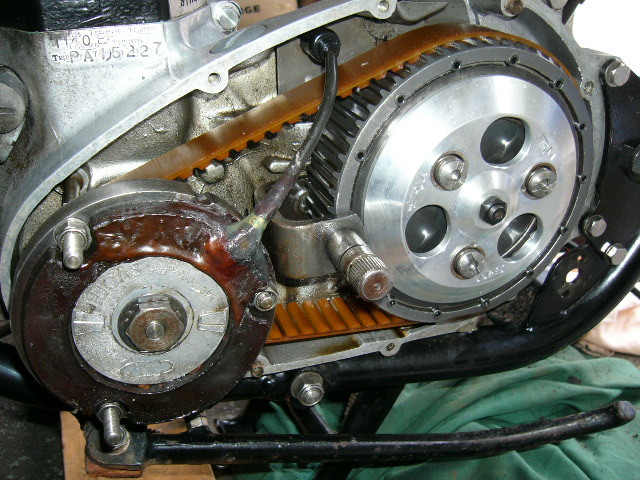 The retiring belt drive is a Tony Hayward setup that runs in oil. … and partially stripped out. … and the drive is taken on the replaceable pins. 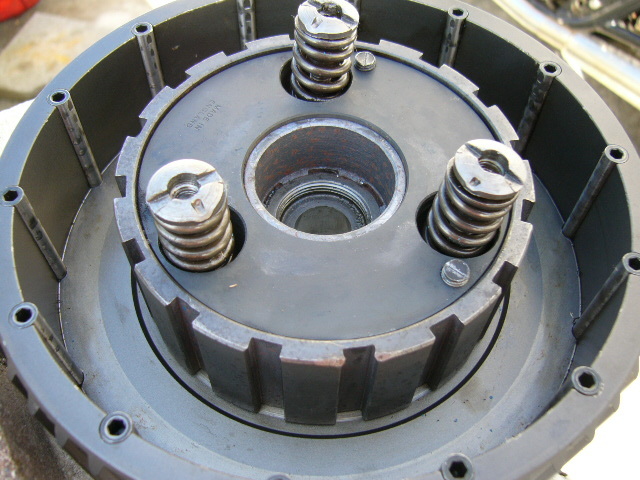 Showing the badly designed clutch unit support, 20 loose rollers on inboard edge of clutch assembly. 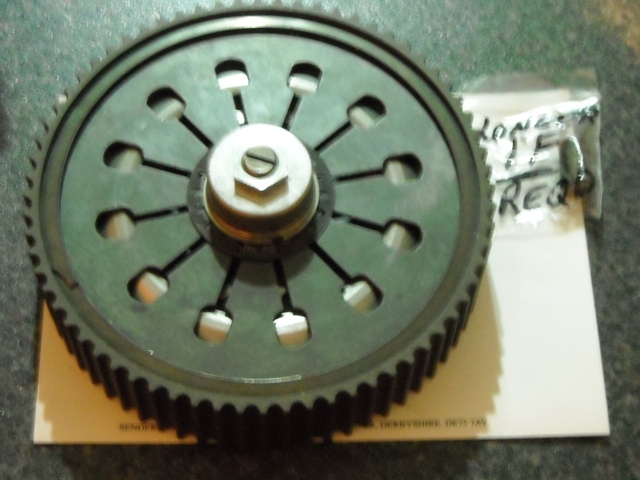 Here is the waiting replacement Norton diaphragm and Gates belt kit, supplied complete with all required tools. 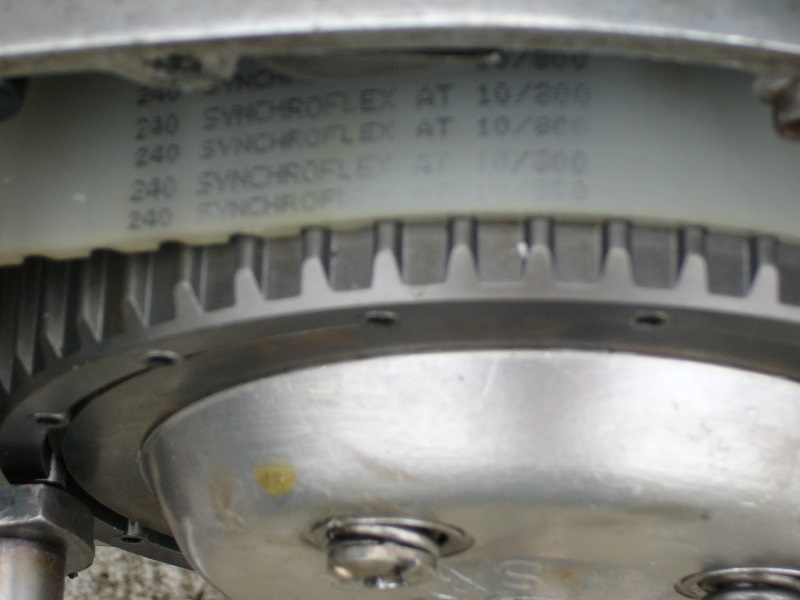 … and also employing replaceable drive pins. Modified gear cross over linkage machined to take an additional O ring and seal the bush it passes through within the crankcase (through to gearbox). I seem to think mine was a Hayward kit as well. I had to grind the excessive welding off the back of the gearchange crossover shaft to clear the sprocket - just one of those hand made things I guess. 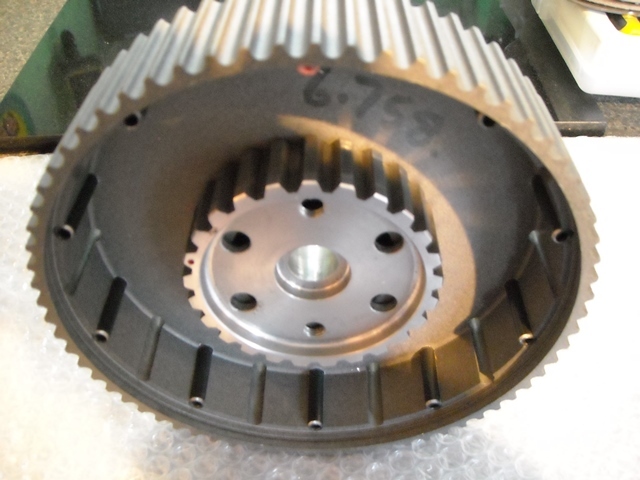 The new clutch with the sealed bearing looks a better solution, than those rollers. Plus of course you can run dry. Is it possible to drill some more holes higher up the cases, to allow you to keep the same breathing arrangement? maybe at an angle to discourage any oil splashes seeping in, or will you have to move the breather to the main cases? I think I was considering taking the bolt out of the TDC finder arrangement & adding a breather there, you'll need a swirl pot or something to encourage as much oil back into the cases as possible I guess. I'm feeling nostalgic, and wondering why I sold the old wreck now, but in honesty I pretty much stopped using it, every time I went into the garage I got something else out instead. As said the sealed bearing sits directly under the belt centre line and is 5/8" (15mm) wide while the standard clutch inboard rollers are 1/4" (6mm). 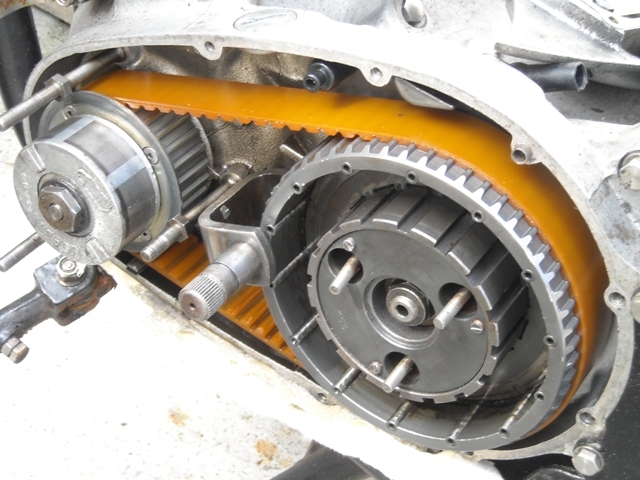 The coefficient of friction a dry clutch plate compared to an equivalent wet plate is 3:1 so you can see the advantage of running a dry clutch. No, the whole area in around the crank is constantly wet, the primary has to be 100% isolated and I'll fit a small K&N filter to the primary rear breather elbow. 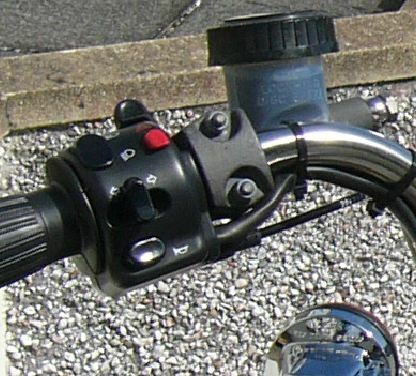 It is possible to allow breathing through the tappet blocks and up through the push rod tubes and rocker box breather or add a high breather elbow to the rear of the timing cover as this connects through to the crank space. It would need to be a pretty efficient solution. The TDC hole is directly, and very close to, the main centre flyweight of the crank and its forward rotation means it is therefore collecting oil and immediately and directly flinging it at the TDC hole. Congratulations and a very nice bike. Most love affairs between people dont last that long. 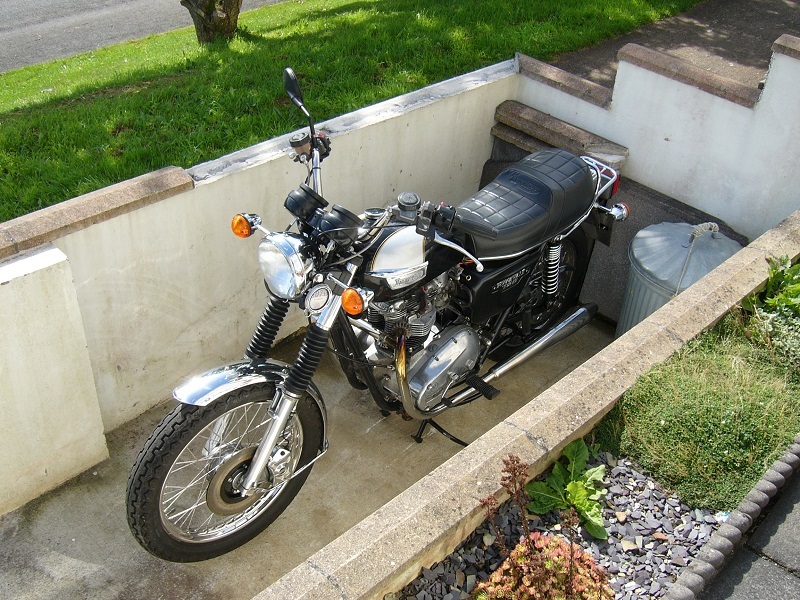 Got the Bonneville about 9 months before meeting my wife …. and still have both.